See their full reviews below. 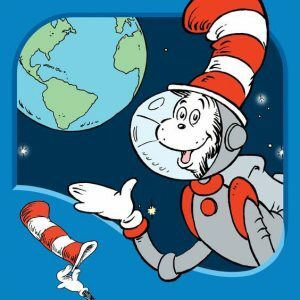 While Cat in the Hat knows a lot about Space is not considered a musical, the characters do break into an occasional song. I find these songs enjoyable and they actually add another level of fun to the experience. The Cat in the Hat (Martin Short) has a goofy voice that kids feel comfortable with and he uses words and phrases that are age appropriate, making the story easy for young audiences to follow. In line with other Dr. Seuss videos, this also speaks in rhyme throughout, but never to the point where I felt it was annoying. The animation is simple and plain, but still visually appealing. It is consistent with other Cat in the Hat videos. 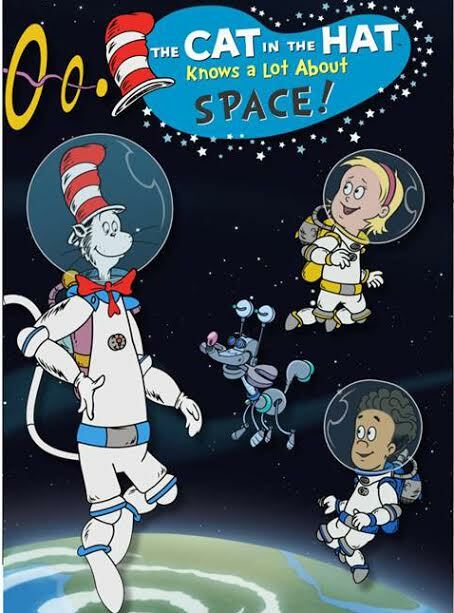 The message of this collection is that space is fun and, as The Cat in The Hat says,“Space is planet Earth’s biggest backyard.” This means that space has a lot for us to explore and learn about such as: Venus is the hottest planet in the solar system. Mars is half the size of earth and has no gravity. Dust storms can cover the entire planet of Mars and last for days. Jupiter is the biggest planet, has no surface to land on and has a red spot that is a storm which has lasted for years. Also, the sun is so large that you can fit all the planets in the solar system into it. Wow! My head is spinning with all this exciting new information!